The North Carolina Association for Multicultural Counseling and Development seeks to improve ethnic and racial empathy and understanding and to advance education opportunities for non-white minorities. To increase multicultural awareness among practitioners and educators in the field of counseling. To enhance and promote multicultural competencies that are taught in counselor training programs across the state as outlined in the CACREP standards. To provide awareness and generate discourse regarding issues in multicultural and diversity through literacy and scholarly writing. To enhance counselors’ advocacy skills on behalf of individuals from underserved populations through awareness, training, and involvement in community initiatives. To have an active presence in general association affairs. 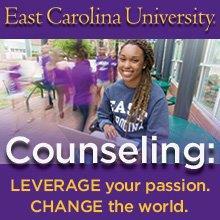 To promote diversity and inclusiveness among counselors and the individuals they serve.